WAFFLES: Listen, Boss. Friendship isn't about who you've known the longest. It's all about the friend who comes and stands by your side in bad times. WAFFLES: Awww, Boss. You called me friend. One of Glogirly's most cherished memories from growing up was the Charlie Brown Christmas TV special. Christmas just wasn't Christmas without it. She and her mom would watch it together, sometimes while baking spritz cookies or making marshmallow popcorn balls. Her mom LOVED watching Snoopy dance. She'd giggle year after year, never once getting tired of it. She also loved Linus. As a little girl, Glogirly thought Linus was kind of boring... with his long monologues and all. It wasn't until she grew up and lost her mom that she came to know Linus and his wisdom. He just had a way of understanding the world around him, finding meaning and joy in every little snowflake of life. Even the ever-pessimistic Charlie Brown saw his glass half full thanks to Linus. The little tree that no one wanted... he saw something special in it. Glogirly thinks there's a little tree like that in all of us from time to time. It just needs is just a little love. Love our TV Trips? We've already spoofed 40 shows! But don't worry... we've DVR'd them for you. Visit our Saturday TV Trips HERE. 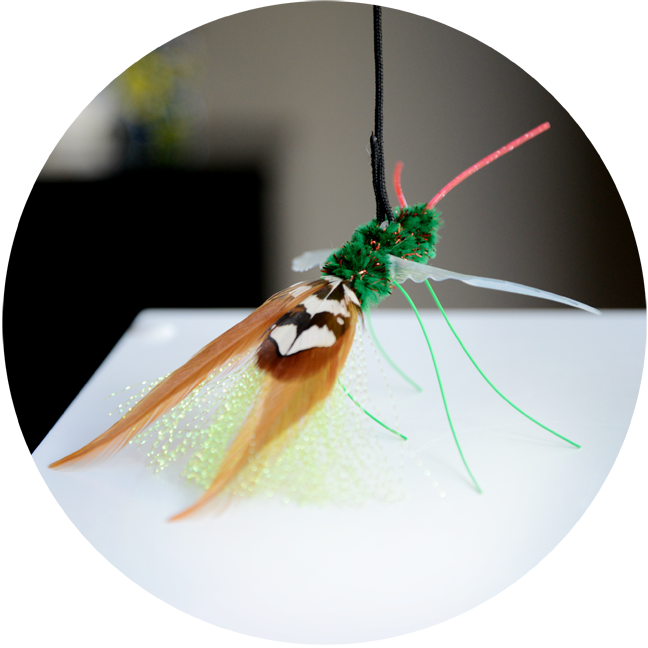 Win NekoFlies newest (and Waffles-Approved) toy, the Neko Birbug and Telescoping Rod for yourself AND a Neko Kiticatterfly for your favorite shelter. 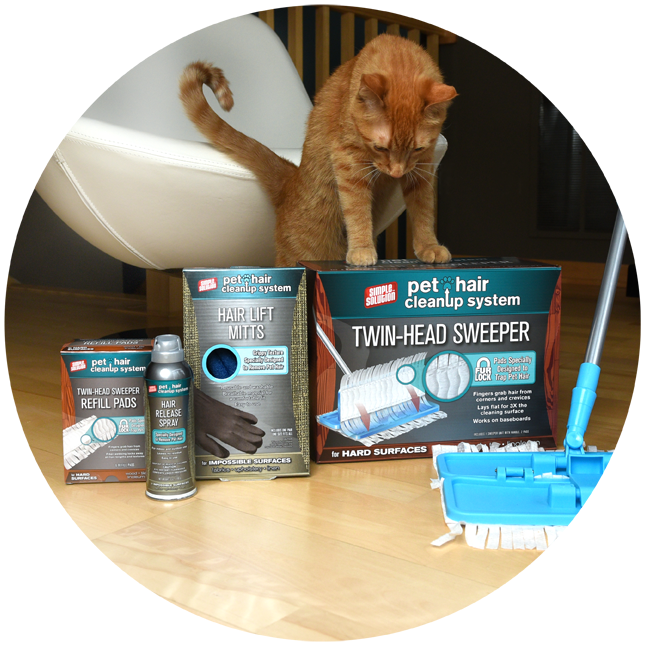 Five lucky readers will win the new 4pc Pet Hair CleanUp System for themselves AND for their the rescue shelter of their choice. It's going to be a CLEAN holiday season! Waffles with a blanky? Priceless! Mommy would KILL to be able to play some Vince Guaraldi! 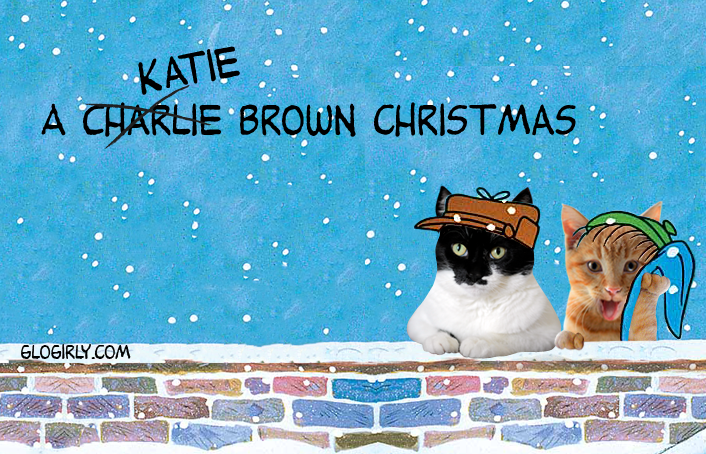 We luv da Charlie Brown Christmas - we've watched it multiple times this year already. Great Christmas special! Forgive us Waffles, but we were kind of hoping Katie would be Lucy and invite you to kick a football. My human's favorite Peanuts character was... betcha can't guess... Schroeder! Typical, right? 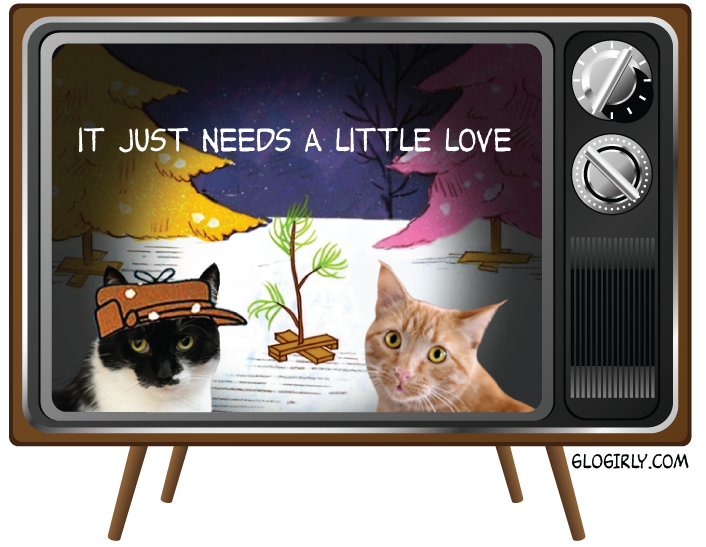 We love Charlie Brown Christmas too!!!! I have never seen Charlie Brown on TV, only cartoon strip in the newspaper. Love your comfort blankie Waffles. Yes, Charlie Brown is a favorite here. The new animated productions seem too slick by comparison with the oldies but goodies. Charlie Brown's Christmas was much more than a children's cartoon..it was a lesson in kindness and giving love where it's needed most..and the true meaning of Christmas..You two look precious as Charlie Brown & Lynus.. I also loved to watch Snoopy dance Debbie..the happiest of happy dances ever! That was very touching and so lovely. Charlie Brown was one of the Woman's favorite Christmas stories. Now when are you doing the Sound of Music?! You guys look great in the photo on the wall - what natural celebrities!! Now I have that Charlie Brown Christmas special song in my head. I like the "Just needs a little love", don't we all! Mommy loves Charlie Brown Christmas. Especially the Christmas message that Linus delivers! We would like to thank you for OUR delivery, too. It made our holiday that much brighter! I've always loved Charlie Brown. Have you ever considered doing the Halloween special with Waffles as Linus waiting for the Great Chicken? Aaawww, Linus is my favourite! Beautiful memories of you and your Mom, Glogirly. Cherish them forever. The mom loves Charlie Brown's Christmas too. She just watched it again for the umpteenth time a couple of days ago. We always watched this too. And I did with my kids also. Not Christmas without it. Katie, you've found your best hat yet!! TW always loved A Charlie Brown Christmas too. Her other fave was Santa Claus is Coming to Town. She can’t believe how popular it’s suddenly become with merchandising and everything. Faraday's fixated on Waff's Linus blankie....!! That's such a sweet story - and a wonderful spoof!